This EP takes us on a journey of the heart. “It’s Been a Long Time” takes us to the ledge of a hopeful heart’s vulnerability. Will there be a happy ending? “Far, Far Away” came from missing a dear friend. I have tried to understand her distance by writing this song from what I understand her perception to be. My heart will always be open to her. 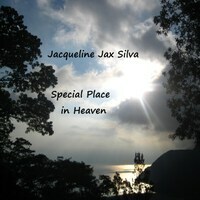 I wrote “I’m Not Saying Goodbye” by request from notes by a mother who lost her son to suicide. This song is a tribute to that fine young man. There is a “Special Place in Heaven” for so many of us who use our time, money, and/or sweat to make the world a better place, even in small ways. We so often take these gifts for granted, rarely realizing the beautiful impact we have in the world. But instead focusing on where we fall short. I hope this song reminds us that we matter. Finally, recognizing how splintered our attention can become, I hope and pray that we can all learn to move at the “Pace of Move” a little better and more often.